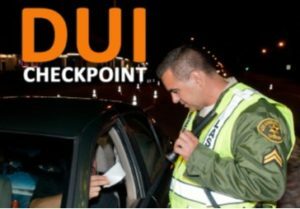 PALMDALE – The Los Angeles County Sheriff’s Department’s Traffic Services Detail will be conducting a DUI/driver’s license checkpoint at an undisclosed location in Palmdale this Friday, Jan. 25, between the hours of 6 p.m. and 2 a.m., authorities announced. 21 comments for "DUI checkpoint planned for Palmdale this Friday"
They have to post a public notice of the DUI checkpoint. Not very smart, are you? Actually the police department uses grant money earmarked for deterrence. The only way they get away with using it as a fundraising soviet style papers checkpoint is by announcing it as a DUI checkpoint, because the “oh my, there are checkpoints?” effect scaring people into calling Uber is supposedly even greater than the effect of the actual checkpoint…which might be true. We hear your same sob story everytime. We get it.you don’t like possibly saving lives. You would rather drunks kill. I sure hope you,or say,your daughter,gets killed by a drunk driver. Stupidity and irresponsibility doesn’t come cheap. Why you gotta be racist. Donald trump told you to say that. Enforcing the immigration laws are not racist. Do u understand the Americans have to flip the bill for all the illegals? Javier maybe if you weren’t a [removed] son of a [removed] you would know thats unconstitutional and not a possibility. Sounds like Javier hit a nerve. You’re probably an illegal. We got too many of those here unfortunately. Who or what are you a son of? I can take a few guesses and probably be right. Anyway, stay sober when driving. Also I love the fact that you state there’s a problem with illegal immigration here in this [removed] hole and love it even more considering the fact that none of you cowards do much about it in your own communities LOL where do people like you hide? We need ICE round ups. BUILD THE WALL!!! BUILD THE WALL!!!!! Trump will get right on that when he gets the check from Mexico. It’s in the mail. Now, Ron can relax and drink. Ron, you do know that “The Wall” was a cue for Trump during his campaign rallies to remind him to rev up his crazy base. And, it worked. He was then stuck with a chant at rallies turning into a campaign promise that you bought hook, line and sinker. The GOP had 2 years to build it and didn’t, it was such a good idea. Trump knows how to manipulate you guys better than internet companies that target you for their products. Trump presses the “Wall” button on his rally jukebox (K-12) and you dance to the tune without much thought involved. The only thing that would make Trump look more Trump at his rallies is if he tossed little treats to the open mouths of his fans when they cheer his insane rhetoric. But, I could be wrong and you are smarter than your posts suggest. But, I doubt it. I love the humor of democratic thinking. If republicans told them that they have to breath oxygen to survive, they would spend millions on figuring out an alternative. Lol, if obama said that we needed a wall, democrats would praise obama and jesus while proclaiming that we do need a wall… Which we still do. Im sorry that you have an obsession with trump. Hopefully someday you can grow up and be as rich as him and maybe even steal his shakra. Please breath oxygen. Its very healthy for you. So How about we make all DEMOCRATS give up 50% of their income to pay for everybody running across the border. Trump got his wall. It’s name is “Nancy Pelosi”. What’s insane about enforcing our laws? Building a wall is enforcing our laws??? Who knew? Even the republcans in Congress the last 2 years didn’t want to build it. They could have done so instead of the giant tax cut for their billionaire patrons. But, they didn’t. You should go after them. Those people running across the border didn’t crash the economy in 2008. They didn’t send soldiers to die in Iraq based on lies about WMDs. They didn’t alter the water supply in Flint, Michingan causing untold thousands to suffer from toxic city water maybe for life. THEY DIDN’T SHUT DOWN THE GOVERNMENT BY HAVING A TEMPER TANTRUM. That’s all conservative/GOP/tea party/Trumpistas stuff. And YOU too apparently. Have you noticed, Ron, that you and your ilk here in the Antelope Valley talking your talk talked Steve Knight out of his seat in the House? So, keep it up and California will be GOP Free in a couple more elections. And, you can mover to Kansas and be around your own kind. How the heck did Katie Hill, a young, progressive Democrat, win in this conservative congressional district? Maybe people are tired of republican hypocrisy and corruption. Why aren’t you? Now, sit down and post an intelligent reply if you can.